The whole of the Kilworth House Theatre site including the car park is accessible for wheelchair users and those with mobility difficulties. Within the auditorium there are four spaces on Row A reserved for wheelchair users. In each case there is a seat next to the wheelchair space for an accompanying person. Please note: These spaces may only be booked by telephoning the Box Office on 01858 881939 (Monday to Friday, 10am to 4pm). We prefer to speak directly to the customer about their specific needs and allocate them the best seats available to serve these needs. There is a well-marked path between the hotel and the theatre suitable, if necessary, for a wheelchair. For clients with mobility difficulties we can provide transport by golf buggy between the hotel and the theatre entrance and vice versa, commencing one hour before and immediately after the show. 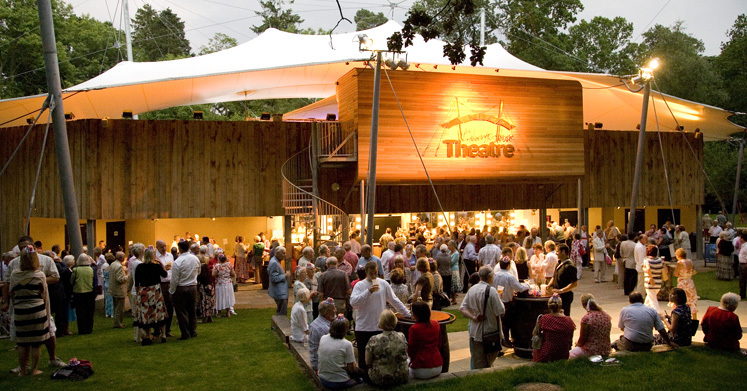 Kilworth House Theatre welcomes assistance dogs and is happy to cater for their needs when attending a performance. Please notify the box office when booking to enable us to allocate the best seats available to serve their needs.